"In this pioneering synthesis, Joshua Epstein introduces a new theoretical entity: Agent_Zero. This software individual, or "agent," is endowed with distinct emotional/affective, cognitive/deliberative, and social modules. Grounded in contemporary neuroscience, these internal components interact to generate observed, often far-from-rational, individual behavior. 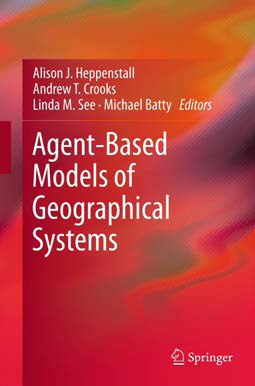 When multiple agents of this new type move and interact spatially, they collectively generate an astonishing range of dynamics spanning the fields of social conflict, psychology, public health, law, network science, and economics. 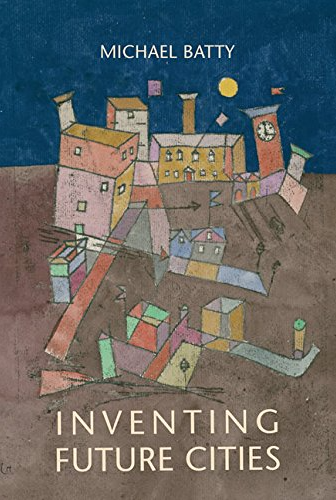 Epstein weaves a computational tapestry with threads from Plato, Hume, Darwin, Pavlov, Smith, Tolstoy, Marx, James, and Dostoevsky, among others. This transformative synthesis of social philosophy, cognitive neuroscience, and agent-based modeling will fascinate scholars and students of every stripe. Epstein's computer programs are provided in the book or on its Princeton University Press website, along with movies of his "computational parables." Agent_Zero is a signal departure in what it includes (e.g., a new synthesis of neurally grounded internal modules), what it eschews (e.g., standard behavioral imitation), the phenomena it generates (from genocide to financial panic), and the modeling arsenal it offers the scientific community." 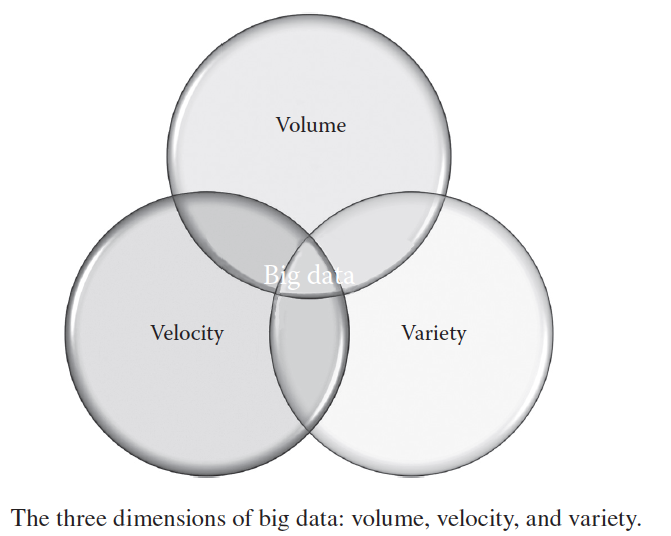 To get an idea of what to expect the movie below is from the JHGCCO Seminar Series on Systems Science and Obesity where Epstein introduces Agent_Zero. 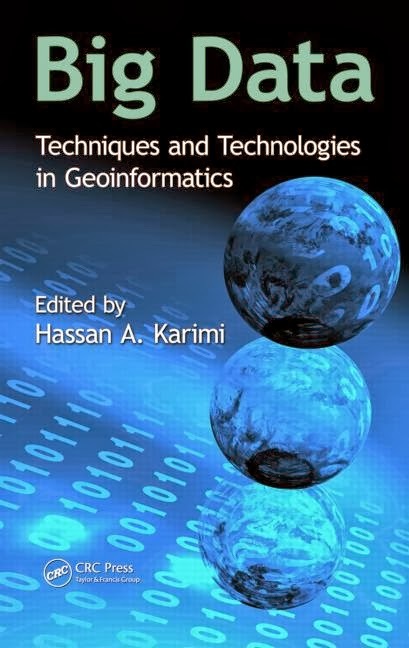 We recently contributed a chapter to "Big Data: Techniques and Technologies in Geoinformatics" entitled "Geoinformatics and Social Media: A New Big Data Challenge" where we explore how social media and ambient geographic information is transforming geoinformatics. 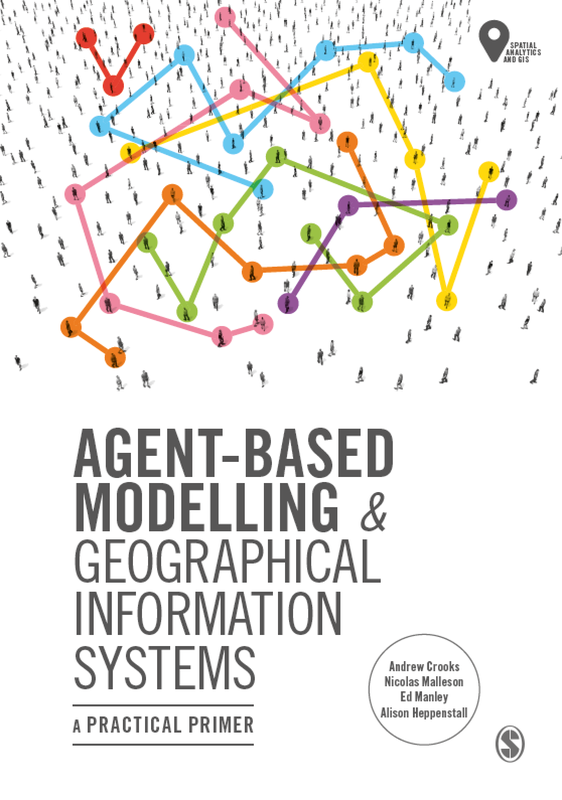 We discuss the key characteristics of big geosocial data beofre moving onto geosocial complexity. Specifically how goeosocial data is predominantly linked information; links are established among users to establish a social network and among words to define a storyline that is communicated through pieces of information. Aggregating all these connections (links) provides us with a view of the users as a structured, networked community that can be represented as a graph. 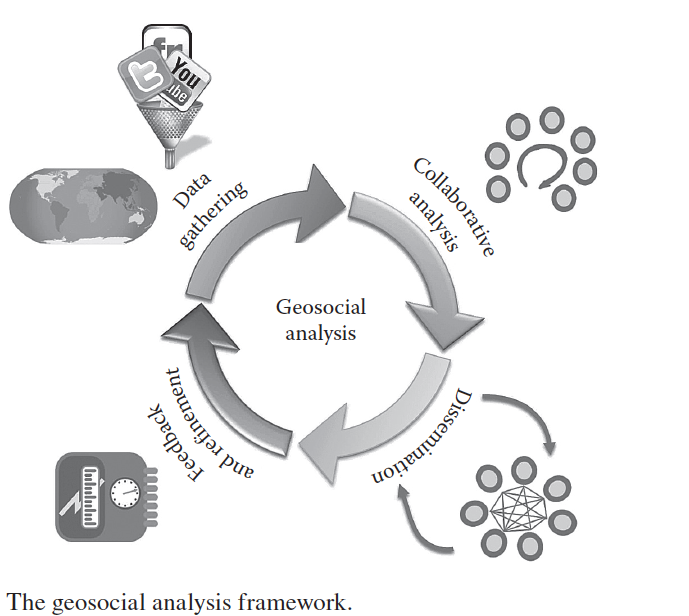 We then turn to modeling and analyzing geosocial multimedia before concluding with an outlook pertaining to the grand challenges and opportunities for big geosocial data.